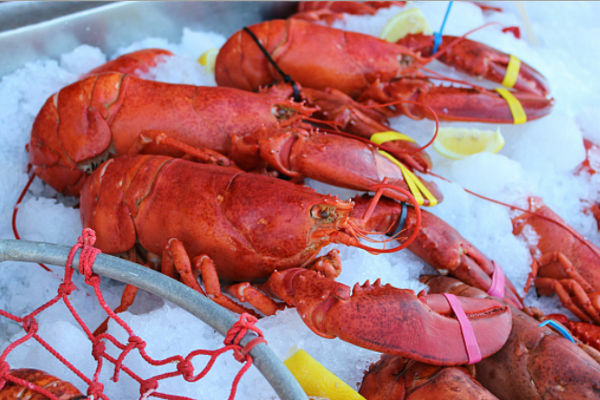 You won’t see clambakes to go on many seafood restaurant menus, much less in the supermarket. But Woodman’s has created a way to help seafood lovers create the ultimate clambake feast right at home with authentic New England clambakes for six. You won’t see clambakes to go on many seafood restaurant menus, much less in the supermarket. But Woodman’s has created a way to help seafood lovers create the ultimate clambake feast right at home with authentic New England clambakes for six. Our kit lets share the classic taste of Woodman’s with friends, family and customers all over the Continental United States. 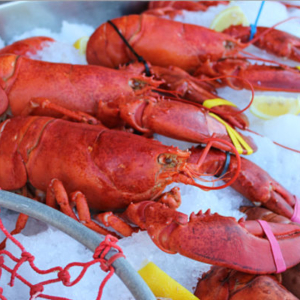 From that clambake showpiece – the lobsters – to fresh clams and our homemade chowder stock, we include everything you need to create your own clambake – even cooking instructions! * Mussels may be substituted when clams are not available. *** Red Bliss potatoes will be substituted for corn in the off-season.